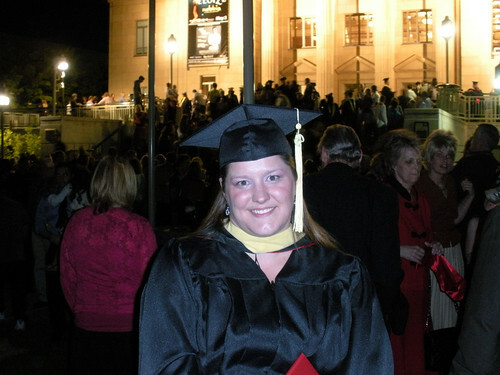 Hats off to my sister, Misty, who just graduated from the University of Utah College of Social Work with her Masters Degree. She makes us all proud with all her book smarts, and helping people, and loving everyone no matter what, and on and on. With all sincerity, she is one of those people you have no option but to respect and love because — to the bottom of her heart and to the deepest parts of her soul — she is truly striving to make a difference in peoples lives. Without judgement and with true compassion, she helps anyone who is in need.Ã‚Â She is like a modern day Mother Theresa… only louder, and funnier.